There’s more to a home than meets the eye, but a stylish décor is still one of the keys to comfort and pleasure in your quarters. Unfortunately, professional interior designers usually have rather steep fees, which is why homeowners on a modest budget often have to be resourceful with the choice of colors, furniture pieces, and accessories they intend to use in their nest. You’re new to interior design and in need of expert know-how fast? You’ve come to the right place: here are a few simple tips to help you build a graceful home from scratch relying on basic design principles. Before you begin to decorate your home, it’s crucial to take all key measurements and inspect the space you have at hand. The square footage and shape of your home will play an important role in the overall home design, and so will the hues and the interplay of different materials and textures. 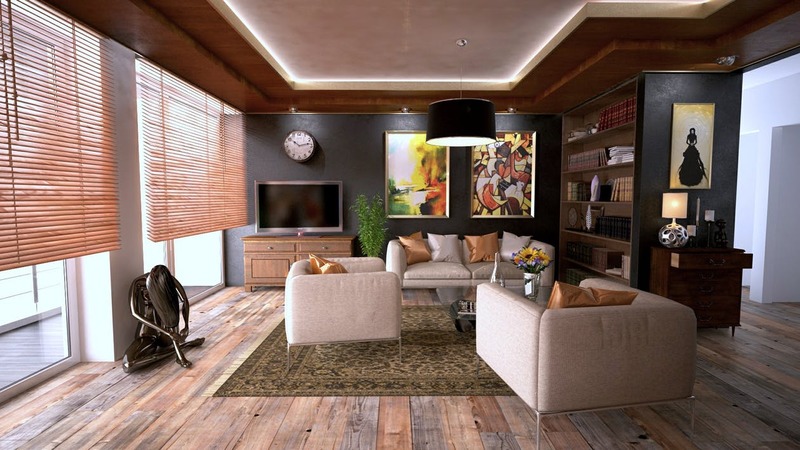 Once you’ve established how much space you have at your disposal, you should come up with a floor plan and define the parts of the room where you’ll put large furniture: it should give you better idea about the total space you have left once you’ve furnished your home with functionality in mind. Once you’ve drawn up the floor plan for each of the rooms, it’s time to start thinking about the colors and materials that play together well. As a rule, you should strive to achieve a cohesive home look which rests on a handpicked stylistic pillar, and use accessories and accent pieces to visually enrich the design build around large pieces which you can find in almost any furniture store in Sydney. For best aesthetic effects, strive to replicate the color scheme throughout the quarters, and use the 60-30-10 rule or two-tone design to define the stylistic cornerstones for your design experiments. With the color scheme done, you can use tertiary tones and accents to add interest to the room. If you want to achieve superior visual effects, you should select a focal point in your living room with care. For example, a large window with a view, floor-to-ceiling bookshelf, or a mantelpiece will work well as a central spot in the room, but if you don’t have any of these built-in options in your quarters, you can achieve the same visual trick by means of an accent wall or a large potted plant. To create an accent wall, paint the prominent wall in a different color than the rest of the room, or hang a large painting, mirror, or wall art on it. For finishing touches, you can use items in the same tone as the focal point throughout the room to achieve a well put-together look. In 21st-century interior design, less is always more, which is why you should be careful with the choice of accessories and accent pieces you’ll use for decorative purposes. In addition to that, it would also be a smart move to take a closer look at the negative space, such as blank walls and vacant corners of the room, and see whether it can make a powerful stylistic statement by itself or if it would work better if put to use. If you want to get the biggest aesthetic bang out of your home design buck, you should use negative space intentionally as to highlight the focal point or another prominent feature in the room and add interest without needless details. Lighting is an aspect of interior design that can make or break superior aesthetics, which is why you should treat it with due respect and awareness of the basic color and texture principles. To set the feel in the room to sophisticated, you should top off standard ambient lighting with task lamps to shed a suave light on your chic home. If you can afford a brighter light, you can invest in first-class accent lights such as LED strips, wall-mounted sconces, recessed lighting, or under-cabinet lights. Additionally, opting for eco-friendly lights will help you bring out the best features in your property and increase its value and appeal in the eyes of potential green-minded buyers. Ready to decorate your home like an expert designer? Follow the tips above and your home will soon shine in its classiest light. Good luck! ← Short-term rental property managers: What are the benefits?